Take a drive through downtown Bangkok and chances are you’ll be greeted by signs of private property developments up for sale at every other turn you make. The private condominium market in Thailand is showing no signs of waning in terms of supply. From 102,000 units with a combined value of 412 million baht in 2015, the figure has risen to 114,000 units of a total of 441 million baht last year. And in particular, there is an uptrend in the high-end condominium market. The mood is one of optimism and the demand for prime property is buoyed by a growth of 3.9% of the Thai economy last year, according to a recent report by leading real estate advisor, CB Richard Ellis (CBRE), Bangkok Real Estate Market Outlook 2018 published on 7 March 2018. 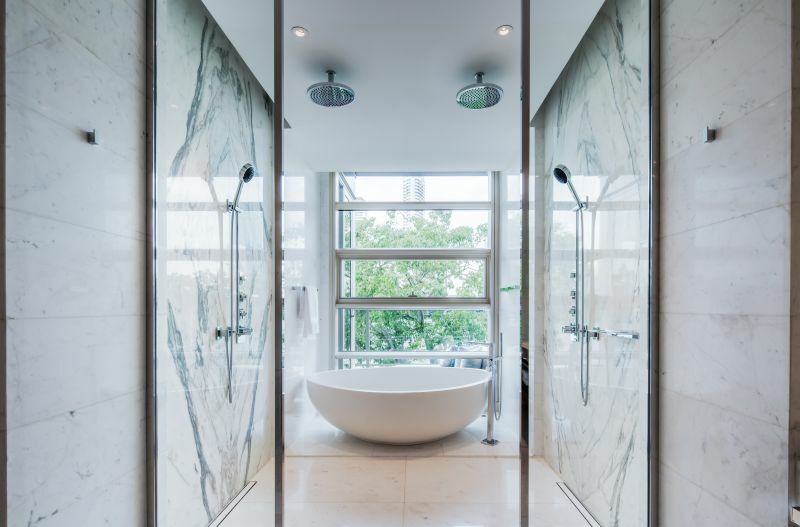 At the apex of high-end residential projects in Thailand is probably the Four Seasons Private Residences Bangkok — the largest and latest project undertaken by Thai property developer Country Development Group (CDG). 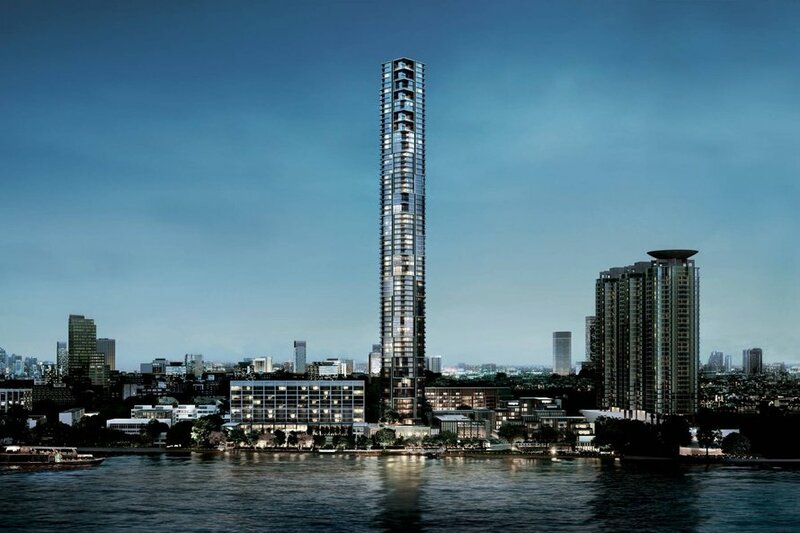 The 73-storey residential tower is Bangkok’s newest waterfront project, lining the majestic Chao Phraya River and sprawling across over 14 acres of land, together with two world-class luxury hotels – Four Seasons Hotel and an all-suites Capella Hotel. 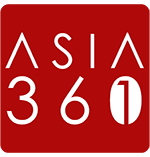 The development also marks the first-ever Four Seasons Private Residence waterfront development in Asia. This ambitious project is unlike any other high-end property development in Bangkok. For one, the last major development along the Chao Phraya riverfront was the Shangri-La Hotel, which was built some 30 years ago. A massive waterfront land parcel such as the Chao Phraya Estate that Four Seasons Private Residences sits on is exceptionally rare and hard to come by, according to Ben Taechaubol, director and Chief Executive Officer of CDG. It is considered Bangkok’s last remaining waterfront golden site. “There is only one of these. This concept can never be replicated again,” Taechaubol shared during a media interview. 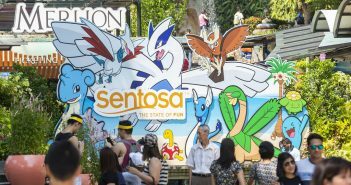 Indeed, Four Seasons Private Residences looks sets to reshape the landscape. A first-time visitor is bound to be ensorcelled by both its exterior and interior. All 355 units of the residence are corner units, which means residents get unobstructed panoramic views of the river and the city. Setting foot onto the property, the level of attention to quality and detail would be hard to miss. The interior design is led by San Francisco-based interior design firm BAMO. 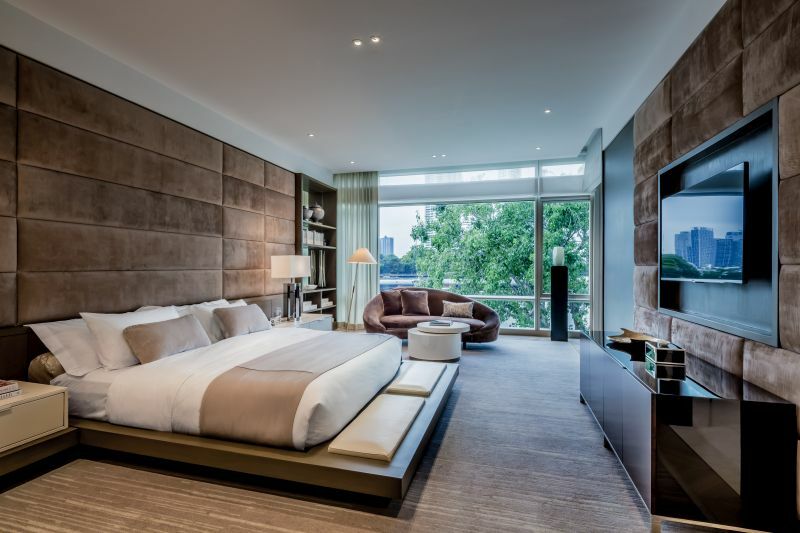 A neutral colour palette sets the tone for a modern contemporary design with a touch of sophisticated elegance in the units, which range from one-bedroom of 105 square metres to five bedrooms and penthouses of 1,045 square metres. BAMO’s work extends to the lobby entrance, corridors and the rooftop Four Seasons Club, which spans three levels of first-class amenities such as a glass-walled wine room to store prized vintages, a private screening room and an infinity pool overlooking the cityscape from the 66th floor – the tallest residential infinity pool in Bangkok. 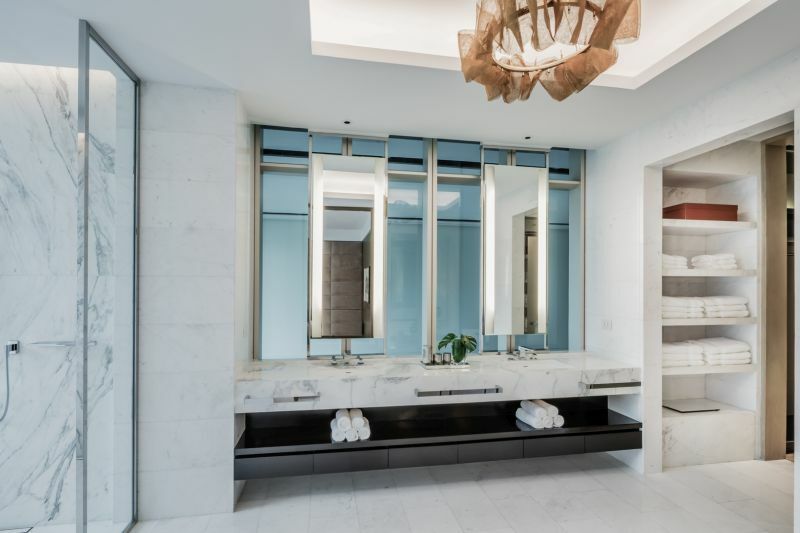 With the Four Seasons brand name stamped, residents can expect exceptional services, including a concierge that takes care of everything from laundry service to shopping for your grocery needs. To ensure privacy and unobtrusiveness, the requests can even be made via a phone app. Adding to the exclusive riverfront experience, shuttle boats will be on hand to ferry residents to BTS Saphan Taksin Skytrain station. 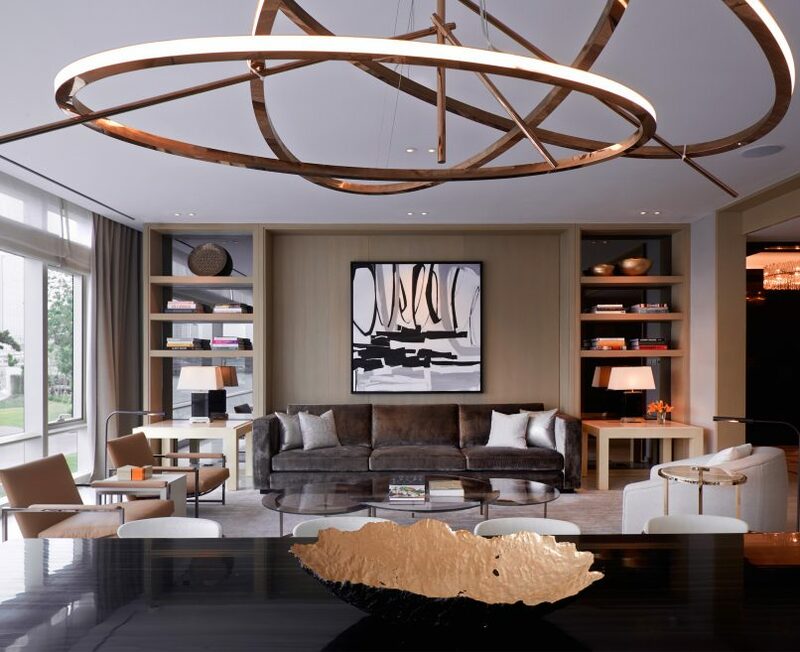 If you are looking to secure a unit, almost 70 per cent of the Four Seasons Private Residences have already been sold, with most of the buyers coming from Hong Kong. The property is due for completion by end of 2018.